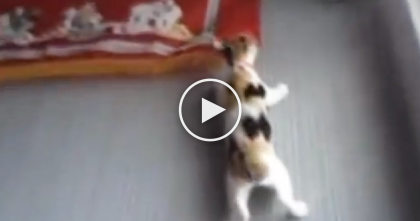 Kittens Get A Strange New Toy, You Won’t Believe How “HOPPY” They Get, LOL… Just Watch!! These kittens have a new toy to play with, but you’ll never believe their reaction! …Or what kind of toy it is. These furry kitties have never felt a tarp underneath their feet, so when this new “play toy” comes into their pen, they go absolutely crazy for it! 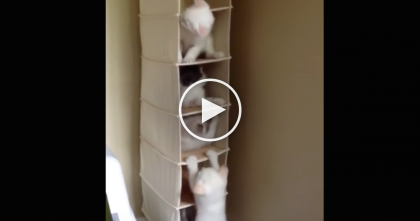 These kittens are too funny—SHARE the laughs with a friend! 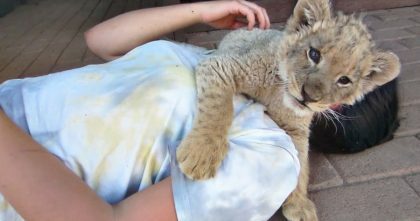 Baby Lion “Attacks” Rescuers With The Sweetest Cuddles Ever… This Is Just TOO Adorable, Awww!! 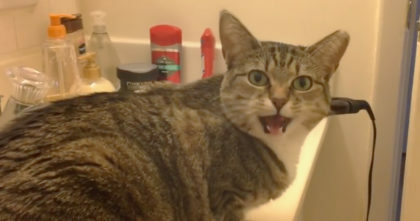 He says “Ya Hungry?” But now listen to the cat’s reaction… This is the SWEETEST sound ever!! When These Kittens Discover The Shoe Hanger… TOO Cute To Stop Watching, Love It!! 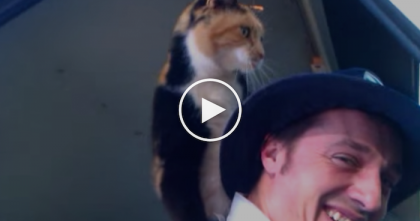 Little Kitten Climbing Ninja Tackles Vatical Wall…And Gets 10+ Points For Biting The Flag, WATCH!